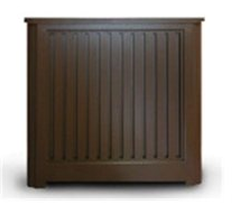 We specialize in making custom radiator covers for all locations including homes, schools, nursing homes, day care centers, and churches. Avoid the middle man, buy factory direct and we will provide you with the lowest price with the most exceptional service. Check out this YouTube video of the DIY Network's "Money Hunters" show featuring Bornmann Mfg. 's Radiator Covers. Bornmann Manufacturing is a family owned and operated business that has been serving the Philadelphia tri-state area for over 65 years.